“My typical day – insofar as there is one – can cover a lot of territory and involve a real variety of people. For a start, I regularly need to meet and evaluate prospective apprentices, identifying their individual strengths and seeing whether they’ve got what it takes to see the qualification through to the end. But I’m also responsible for monitoring and supporting existing apprentices. That means visiting them in the field – whether they’re working on a small local installation or on a major factory refit. You get to know the apprentices really well and it’s great seeing them develop and grow. Meeting employers is an important part of my job. 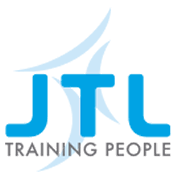 I often travel to their premises so that I can discuss their business plans, identify their skill needs and explain how JTL can help them. There’s also a good chance that I will need to visit one or more of the local colleges who deliver the qualification side of apprenticeships. Again, it’s all about building strong relationships and listening really carefully to feedback. It’s also about managing time carefully. I work out of my home and am responsible for setting up appointments and making sure that I provide a first-class service at all times.